Once again, she's running… When bride-to-be Cami Lockwood finally escapes the clutches of her domineering family, she accidentally stumbles straight into the mountain retreat of the most alluring man she’s ever met. 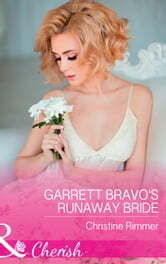 Garrett Bravo’s never been lucky in love. But that’s before a one-of-a-kind heiress falls headlong onto his doorstep. But this time, she's running toward something! Garrett’s mother can’t resist matchmaking for her relentlessly unavailable son. So what better way to evade her meddling than to pretend that his accidental arrangement with creative, unique Cami is the real thing? Just one catch: He hadn’t bargained on falling head over heels for the runaway bride turned woman of his dreams….